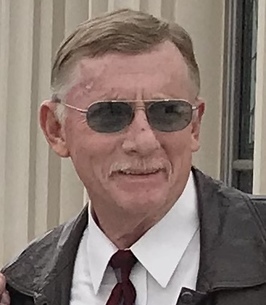 Roger S Tuttle, age 65, passed away from cardiac arrest at his home in Castel Dale, Utah on Monday, October 15, 2018. He was born on March 22, 1953 in Price, Utah to Blaine James and Geneva (Snow) Tuttle, the fourth of eight children. He graduated from Emery High School in 1971. He attended Utah State University. Roger worked in the coal mines for almost 40 years in Emery and Carbon Counties and in Colorado. He worked as a Safety Director, Superintendent, and Mine Boss and he was on several mine rescue teams. He loved to garden and grow flowers. He created many lovely landscapes. Roger was blessed with many wonderful friends, and with love and support in the Castle Dale 1st Ward. His life was enriched in many ways through these associations. He frequently spoke of his love for the bishop and members of the ward. He is survived by sons, Zachary James and Casey Ray; daughter, Heather (Joseph) Hill; granddaughter, Sativa Kay Wilford; grandsons Braxton James and Brayden Blaine. Brothers, Richard (Joyce), Provo, Alan (Danielle) Herriman, sisters, Janet (Kelly) Jones, Colorado, Cathy (Kirk) Olsen, Sandy, Jennifer, Price. Sister-in-law Cathy (Brent) Hardee, Castle Dale. Many nieces and nephews. Funeral services, Friday, October 19, 2018, 1:00 p.m. at The Church of Jesus Christ of Latter-day Saints Chapel, Castle Dale, Utah. Friends may call two hours prior to services at the church. Interment in Orangeville Cemetery entrusted to Fausett Mortuary of Emery County. Family and friends may sign the online guestbook and share memories of Roger at www.fausettmortuary.com. To send flowers to the family of Roger S Tuttle, please visit our Heartfelt Sympathies Store. RIP Roger it was a pleasure working with you at Kaiser steel and plateau mining Star-point, I always admired your integrity My the prudential light shine upon you.